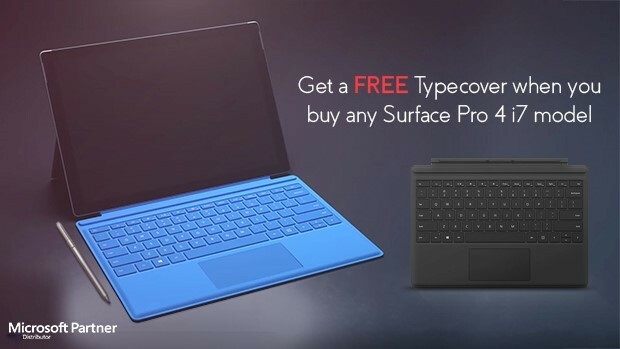 Buy any i7 Surface Pro 4 and get a FREE Typecover! Surface Pro 4 is engineered to give you the power and performance you need in a laptop, with Intel® Core™ processors and up to 1TB of lightning fast SSD for all your programs, photos and music. With the multi-position kick stand and a new Type Cover, Surface Pro 4 is a powerful laptop that runs all of your software. 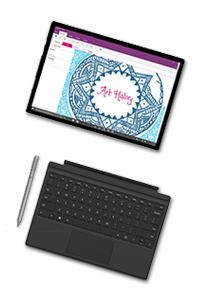 Surface Pro 4 is meticulously crafted to be a powerful, ultrathin laptop — or a beautiful tablet that can stand on its own — all with up to 9 hours of video playback.